If I took anything seriously from Srila Prabhupada, it was japa. 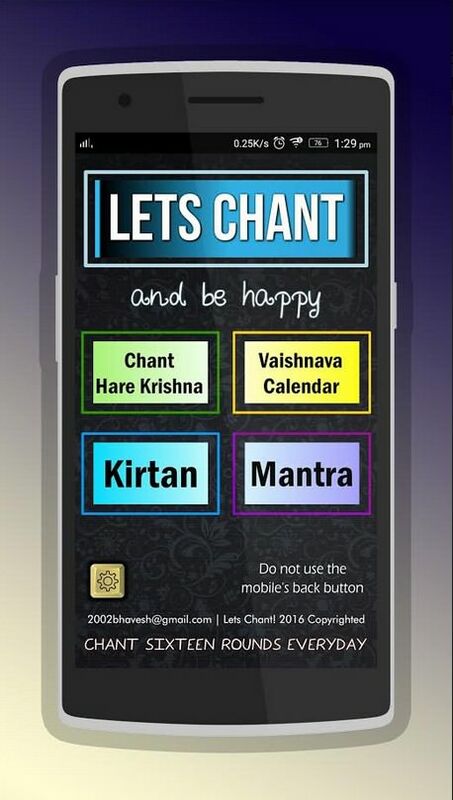 I loved the idea that there were “no hard and fast rules for chanting.” I was a “free-spirited” hippie in 1971 when I got a “Back to Godhead” and moved into a temple three days later. I didn’t like rules, but the regulated principles were not a stretch for me. I was already a vegetarian, never gambled, disliked alcohol, finished with hallucinogenics, and was awkward with the girls. On some level, I understood that material ambition was a dead-end. When I learned that chanting was purifying anytime, anyplace, and under any circumstance, I was sold on the idea that the Mahamantra was the easiest process of self-realization ever offered. I never could turn down a great bargain. Of course, I hadn’t learned the Ten Offenses, nor did I completely understand the idea of a “gradual” process. I’ve come to learn that “gradual” meant, in my case, glacially slow. Coal could transform into diamonds before I could chant offensively. Fortunately, we have the pancatattva mantra to neutralize the bad effects of innumerable sinful lives. Nevertheless, here I am nearly 47 years later – chanting 16 rounds a day. “Srutakirti: The devotees asked me whether Prabhupada chanted sixteen rounds a day. I related to them the story of when I was once with Prabhupada and he was chanting japa. He put his beads down and joked with me, playing the role of a novice devotee glad to have completed his daily chanting quota. “Now I’ve finished my rounds,” he said, “I can do any damn thing I want.” He explained to me on that same occasion that as a householder he had also always chanted sixteen rounds a day — four early in the morning and four after each meal. I was impressed that everything Prabhupada told us to do, he also did. He set a perfect example. When I am chanting those sacred rounds, I feel connected with all the other Vaisnavas who are similarly chanting “their” rounds. That act of faith – chanting – brings me into association with the sadhu’s. I can be away from devotee acquaintances for years, but, when I see them, I feel like we’ve been linked together through the japa. If someone leaves the practice of sadhana bhakti, I can “feel” the disconnect. I don’t know quite how to explain it. I just know that my japa is my first and foremost Facebook, Linksys, WhatsApp, etc. It lives in the subtle spiritual energy. Even if I disagree with the politics or philosophical interpretation of other devotees, I still feel very much connected with them. We are all surrendering ourselves to the process of Harinama. It’s a beautiful thing. Japa is the spiritual internet that links us together with invisible light-filled fibers of pure devotion to Krishna. The dopamine hits that a person gets when his smartphone chimes on receipt of a message is transcendentally mirrored when a devotee says “Haribol!” We connect and relish remembering who connects us all together: Guru and Gauranga. It’s after 10pm, and I just finished my 16 rounds. Been one of those days. Anyway, now I can do any damn thing that I want – which is to go to bed. I just wanted to connect with you all a little more. Coal could have transformed into diamonds before I could chant UN-offensively.